Sculpted table lamp by Tala in an elegant, cylindrical design. The base features a slab of solid brass that acts as the touch-switch control. Fitted with a black silicone cord specially designed to be anti-kinking. 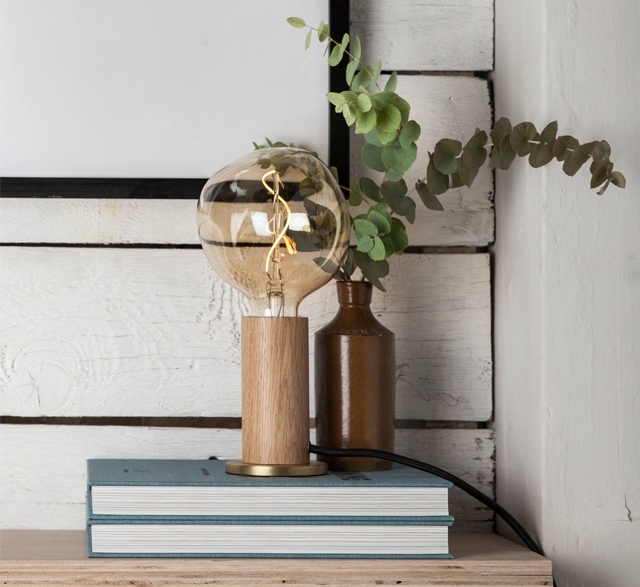 This table lamp is perfect for pairing with any Tala bulb (sold separately).